Your Instagram feed — don’t just post a photo, then another, then another. Approach it like that and it becomes a mess. Train yourself to not just think in individual photos, but in sets of three or nine. Each photo must work by itself. Chopping up one large image into a block of six smaller posts and posting them all at once is okay on rare occasions, but the individual posts often lack solo narratives, and people will see a series of disconnected snippets from the larger picture and get pissed off. Think of your posts as you would pixels: lots of squares creating one big continuous image. But don’t let solo shots suffer as a result! It’s like a romantic relationship: you share your life with someone, but retain your own sense of pride and individuality. Example: a panorama I snapped after a snowstorm on my home island in 2018 and split into three separate Instagram posts. The wider panorama creates a pleasing break on my (very neglected!) personal feed, while each third carries the weight of its own narrative, supported by the captions beneath. For Tony Wood Hair, a hairdressing salon whose social media I manage, I create gradients of color by sampling the average tints from each hair shot. Where possible, I’ll also curate photos with similar compositions (back of hair, face-on, etc). This gives each row of throw its own ‘vibe’. Whenever I create a background gradient for a row of three, I make sure there’s an overlap of color on the Photoshop canvas. When I make the next row of three, I slice off that overlap and blur it into the bottom of the new row. This makes the entire feed flow beautifully, while letting each image stand for itself. Sometimes, you’ll want to draw attention to something specific. 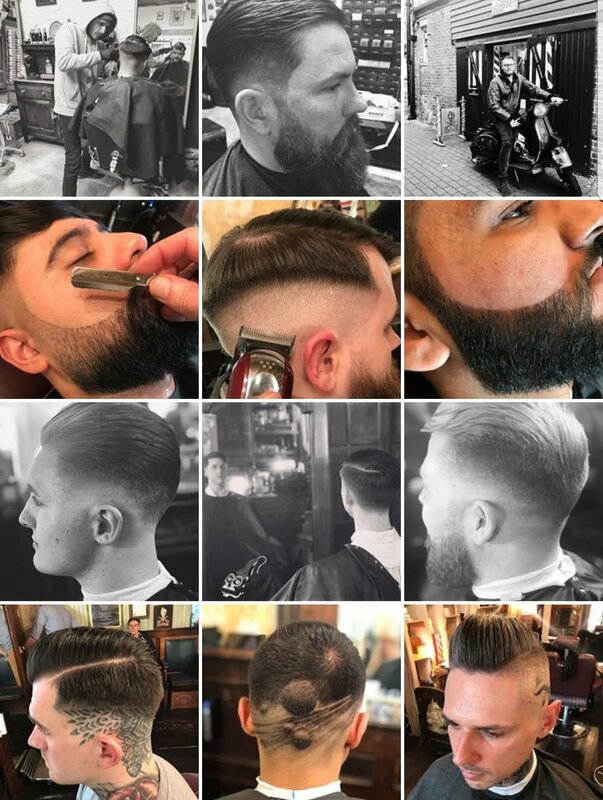 Tony Wood Hair, for example, might have commissioned a professional photoshoot, or taken a trip overseas to lead educational seminars at hairdressing academies. The continuous gradient is suddenly divided by a block of black, and the composition/lighting differs dramatically from surrounding images, drawing focus to this tangential break in the narrative. In spite of the captivatingly vibrant pink row just two blocks below, this abrupt slither of darkness demands attention. I’ve fallen into a pattern of posting a feed-splitting trio for every three rows of gradient-backdropped posts. The divergent rows ignite little sparks of intrigue as someone views the feed, keeping them scrolling. Sometimes I’ll dedicate a block of nine to an off-gradient story, but I’ll strive to derive three unique trios from that larger break. Photoshoot in another country? A row setting the scene of the city the stylists have travelled to (in color), a behind-the-scenes row (in black-and-white), and three of the finished photos (presented in color). Alternating between color and monochrome within these blocks of nine prevents the inevitably unpredictable photos seeming like a clumped mess, by giving each trio more individual identity. This aspect of the feed takes a little extra effort. I’ll use Tony Wood Hair as an example again. When you post videos to Instagram, you get the option to scrub through a frame-by-frame timeline to choose which segment of the video you want to appear as the ‘cover’. Regardless of whether you post a square, portrait, or landscape video, the ‘cover’ frame you pick will always be cropped to a square thumbnail on your feed. Bear this in mind while planning how to post a video, because some pre-prep is required. In this case, Tony Wood Hair salon partner Goldwell had released a three-minute video promoting their new Pure Pigments products. The video included abstract splashes of color, shots of models, animations demonstrating the science behind the products, and headshot explanations from members of the product development and marketing teams. At the time of writing, Instagram can host videos up to one minute in length, so I found some fairly clean cuts and divided the short film up into three 40-second pieces. Before exporting the edited videos, I planned the row of three square feed thumbnails (video covers), and inserted the chosen frames for an interval of 0.1 seconds at the beginning of each clip. 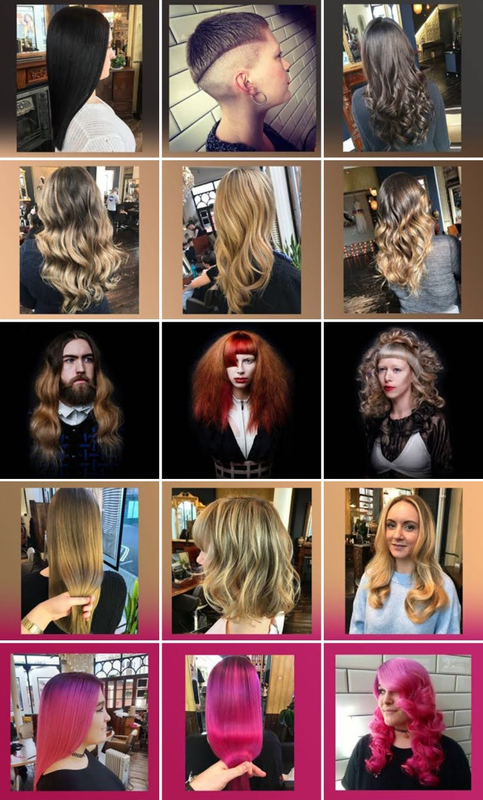 When posting each chunk of Goldwell’s short film to Instagram, I scrubbed right to the beginning of the frame selection timeline for video covers and chose the pre-planned edited-in thumbnail squares. Visitors will see the row of three thumbnails as a row of photos on your feed, but when they tap in, the video will play. Done! How does this affect numbers? Consider user journeys. People who are already following you will be familiar with your content, and three is a healthy number of daily Instagram posts as it is, so plotting out a daily trio typically won’t impact engagement in any positive or negative way. However! Taking a screenshot of your Instagram feed and sharing it to your story with some text highlighting the fact that you’ve posted a new set of three images will highlight the effort you’re making to maintain a consistent aesthetic narrative. Existing followers will see this screenshot in your story and develop a sustained incentive to regularly check your feed, whereas before, they may have only engaged with your posts on the off chance that Instagram’s fickle timeline algorithm decided to show them your content. Matters get magical when you consider potential new followers! If someone sees a thought-out Instagram feed with stories delivered in easily-digestible rows of three — ‘chapters’, in a way — then you’ll capture your attention. A neatly-organized feed is easier to look at, easier to scroll down, and easier to get lost in. If that’s the kind of experience you can offer new followers from the get-go, you’re onto a winning formula. Pulling something like this off requires photo editing, planning, a bit of video editing, some color selection tools, an understanding of how best to apply the practice to your brand, etc. So if you’re feeling a little intimidated by it all, drop me an email or tweet me and let’s work together.